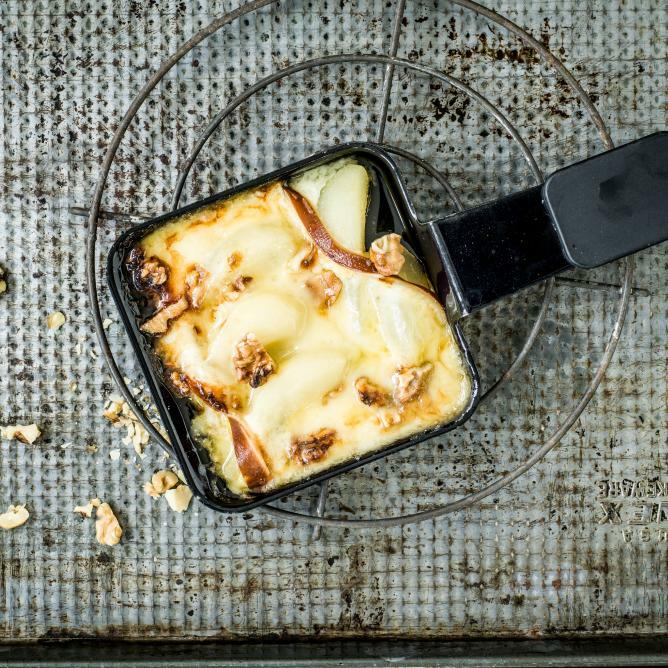 Place the pear segments in portions in the raclette pans, top with slices of cheese, walnuts and ¼ tsp of honey per pan. Melt under a raclette oven grill for approx. 8 mins.